Global Refractory Installers and Suppliers will help preserve the environment by engineering linings that last longer, help eliminate pollution and decrease energy consumption to ethanol, biofuel, and manufacturing companies. Global Refractory brings 75 years of experience in designing, building, installing and servicing air pollution control equipment & refractory. Global Refractory can analyze current problems, identify opportunities, and provide total solutions. Our team has proven solutions in all facets of the ethanol industry to minimize downtime, which results in savings directly to the bottom line. We are Headquartered in Green Bay, WI, with Service Locations in Minnesota and Iowa. 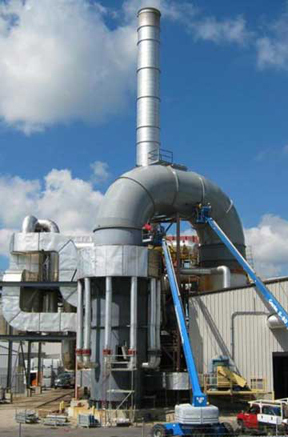 Through our extensive knowledge and experience in air pollution control, RTO rebuilds, Energy Center Repairs and heat recovery applications, we will provide cost effective engineered, long lasting repairs. We use the best material and our vast experience to provide exceptional fiber and hard refractory installation and repair services. We provide cost effective VOC abatement equipment selection, consulting, heat recovery, installation service and repair.